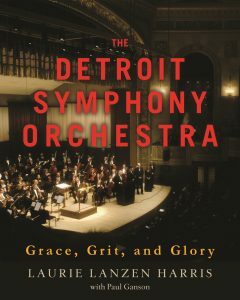 “The Detroit Symphony Orchestra: Grace, Grit and Glory” — This 300-page hard-cover book is the first detailed history of the DSO and is filled with stories and photos. It’s our thank-you for your contribution of $120 or more to WRCJ. Order yours now. Written by Laurie Lanzen Harris and Paul Ganson, from Wayne State University Press. WRCJ is a listener-supported service of Detroit Public TV © 2018 - All rights reserved.